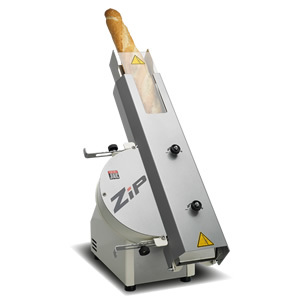 Accurately slicing up to 2,000 pieces per hour, the ZIP Baguette Slicer is designed for safety, versatility and speed. 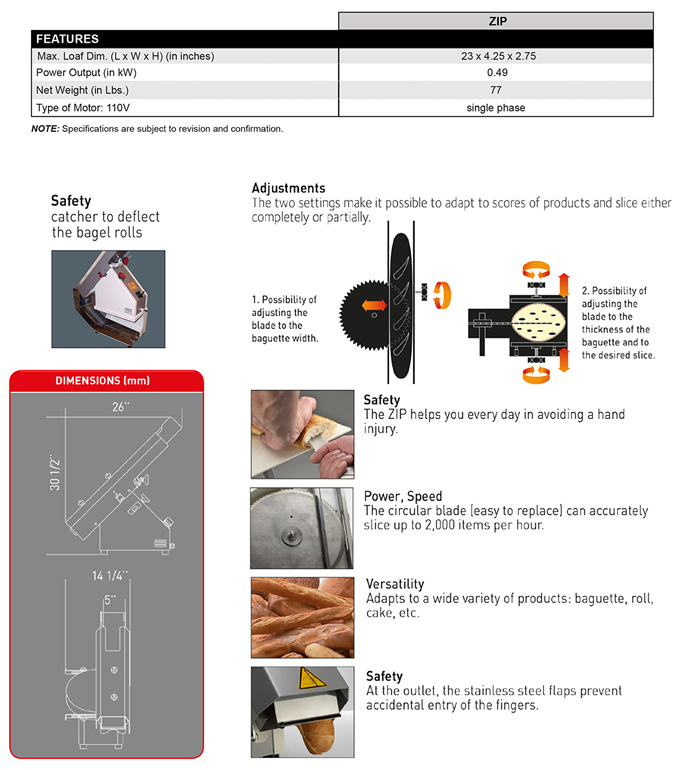 Complete with an easy-to-replace circular blade and stainless steel safety flaps to prevent accidental injury. Quick and easy blade adjustments allow you slice a variety of products including baguettes, bagels, cakes, rolls and more. 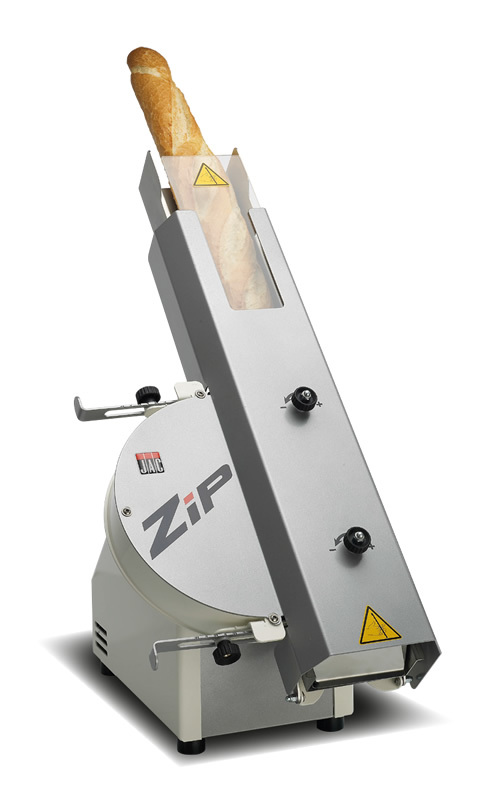 The ZIP Baguette Slicer is an ideal choice for Bagel Shops, Cafés, Supermarket Bakeries, Delis, Bakeries, etc, with it being an breeze to install, operate and maintain.